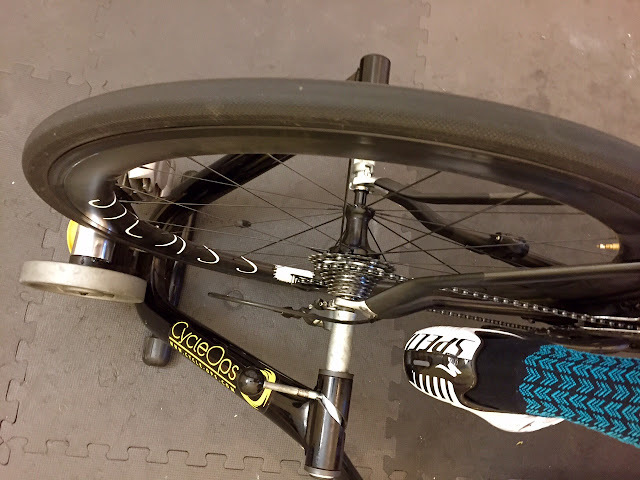 Tales from the llama...: Zwift on a Budget - zPower Fury Road! Zwift on a Budget - zPower Fury Road! 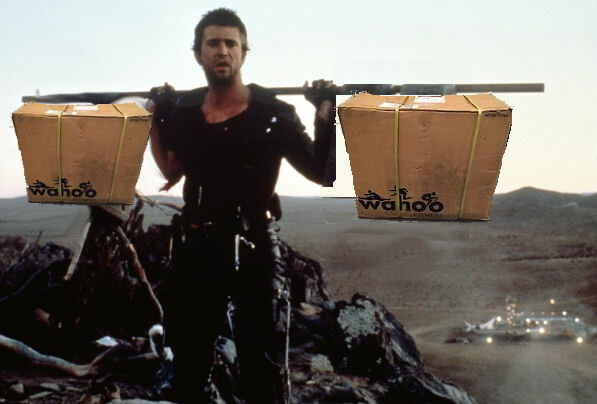 The first Mad Max movie in the quadrilogy started off as a fuel shortage, that resulted in a breakdown in law and order. The fiction has become the poster child of the 80's post-apocalyptic genre, now called The Apunkalypse. Fast forward 35 years and still in the Aussie wastelands, we're facing a shortage of Wahoo Kickrs. With all the hype around Zwift and no Kickrs, we're again on the brink of a breakdown in law and order. Demand is higher than ever yet nobody can get their hands on one. Let's hope the supply issues are resolved before we're faced with The Kickralypse. "I'm just here for the gasoline.... and the Kickrs." For those waiting for the Kickrs to arrive on our shores, or for those on a budget, there are alternatives to get yourself set up and flying around on Zwift. 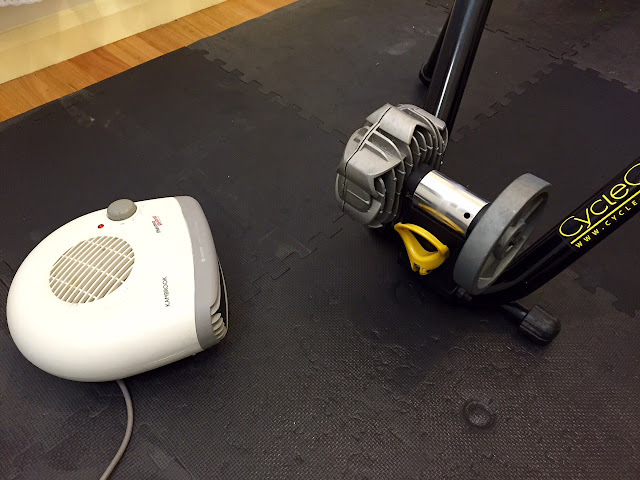 Today I tested out the Basic setup after pulling my Zwift compatible CycleOps Fluid2 out of storage. The only two additional items needed. An ANT+ speed sensor, and the USB2 ANT+ Stick. 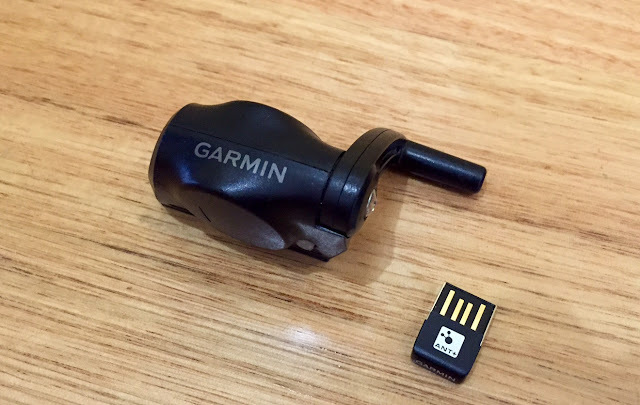 The speed sensor and USB2 stick are around AU$50 each. Spoke magnet and speed sensor. Fluid trainers are notorious for changing their stripes while they warm up, so I fast-tracked warming it. Clean tyre, clean roller, and enough tension to prevent slippage. 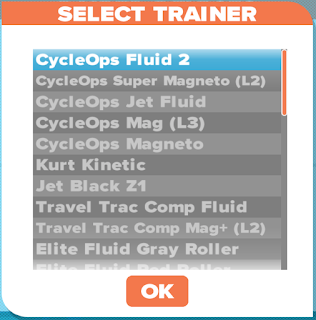 After selecting "Speed" and pairing your sensor, Zwift asks you to choose your trainer type. In action.... also Socks for Nepal by Hells500 - Get yours here! I've been spoiled by the dynamic resistance of the Kickr as you ride up and down the changing gradients, however that is only one component of the Zwift effect. The biggest difference is the lack of inertia compared to the Kickr or the LeMond Revolution that I use on a regular basis. Everything else on Zwift worked a treat. The zPower calculation wasn't too far off my Quarq and allowed me to chase people down, sit on wheels, attack up the climb, and go for sprints. Behind the scenes isn't a simple 'speed -> power' curve calculation to give you your zPower wattage. Official support forum posts indicate they're implementing a system that replicates real-world riding (accelerations, coasting, etc)... and they're still refining this during their beta period. Quarq is in yellow, zPower is in red. The tyre size I used in this test was a 23/25, a hybrid sized tyre that will be a little larger than the standard 23mm, and it would have an impact on the zPower calculations which are based on a 23mm tyre (2096mm). 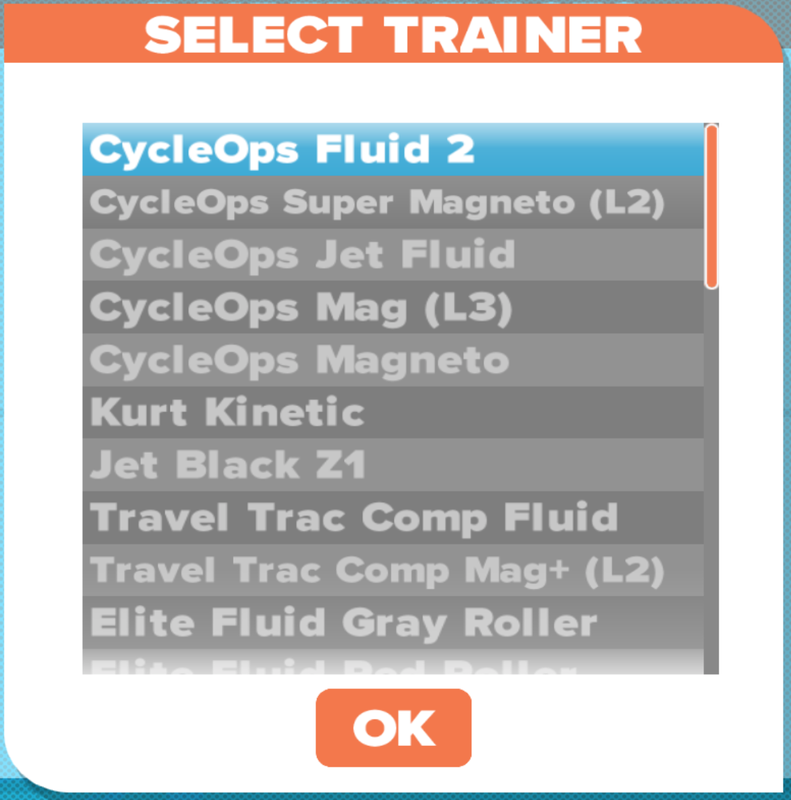 My Fluid2 trainer. It is at least 5-6 years old now and although I warmed it up up before starting the test, I should have spent another 10-15minutes at the target wattage on it before starting the test. Testing is good training, so I'll see if I can get my hands on other zPower trainers and put them through similar tests, while correcting the above discrepancies in my testing protocol. You don't need a Kickr or high end smart-trainer to enjoy Zwift for your indoor sessions. A compatible trainer, PC/Mac, USB2 ANT+ stick, and ANT+ Speed sensor will get you up and running. Did it make you (or allow you to) do a spindown calibration either before the ride or 10 minutes in? I have a Kickr so I'm just curious. 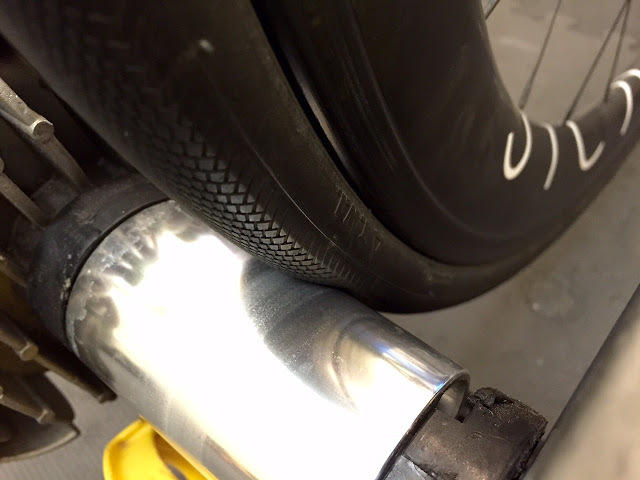 "No spin-down required/asked for the zPower use of the Fluid2. Something for the future maybe if there are known values/spindowns/procedures that can be followed." I have basically the same Fluid2. After warmup, meaning riding at over 80-90w for 5-10 minutes based on my wired SRM, I see about a 30-50w shortage on power while going in the 120-180w range. SRM will show 150w while zPower shows about 100-110w. I put in a report to the Zwift support site and they said that it's on their radar. Complex, though, as the power changes as the heat changes. It's not just time, it's also power applied to the Fluid2 prior to that reading, meaning if I go 50-80w for a while then the power numbers get close. If I go 120-150w then the numbers start to diverge. Therefore I try to go easy for most of a lap (takes me 25-30 minutes) if I'm going for, say, the green jersey. I know I've kept the temps low if zPower:SRM is close, like under 30w. In the sprints my SRM power is about 100-150w higher than zPower so it's not a %, it's the power curve that differs. In other words at lower wattage it might be 30-40% short, like 100w zPower vs 140w SRM power, or about 30% short. At higher wattage it's only about 10%, 900w zPower vs 1100w SRM power. I can see a substantial difference in power delta in the space of one sprint, 20-odd seconds. If I ride at low wattage it'll be close at the beginning (1025w SRM vs 1023w zPower) but at the end, on the same time frame, I'm at 700w SRM but 580w zPower. 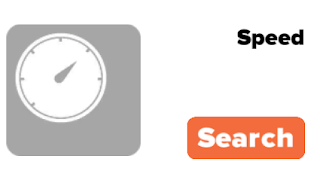 My solution to this is to get an Ant+ powermeter. I'm getting in line for a 4iiii Precision, and I'm getting it just for use while on Zwift. At some point I may get an Ant+ head unit and use it on the road but that's for later. Nice Shane, but I have a question that I'm really keen to know the answer to. I ride a lemond with a quarq and love the setup, does a kickr have the same feel?? I was using a kurt road machine (fluid) and it feels like I'm pulling a 50kg weight behind the bike if I go back to it. I hate that feel, where as the lemond feels just right. I'd hate to buy a kickr and lose that feel, but sort of keen to get one so my wife can get an upgrade from the kurt. Keep up the good work and keep claiming the zwift strava segments :). 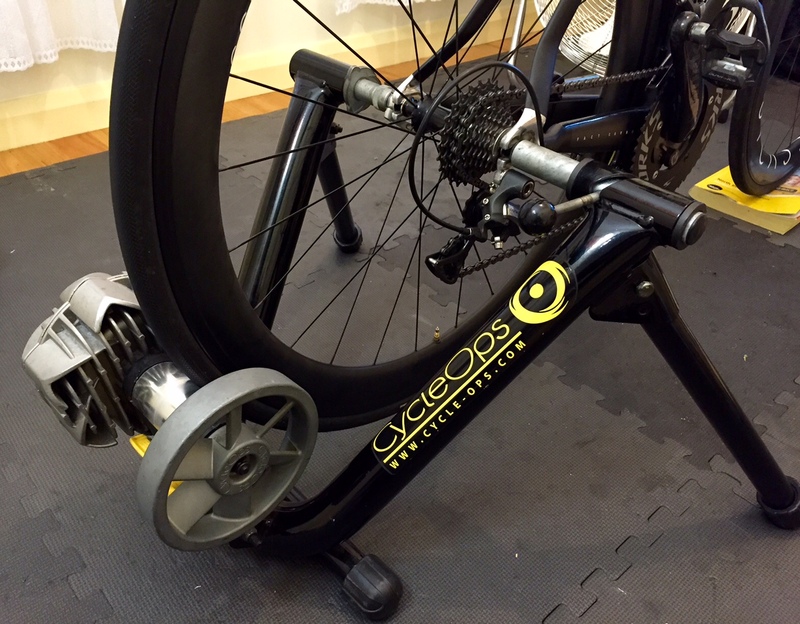 The Kickr has a similar weighted flywheel as the LeMond Revolution, so when you've got it spun up it feels very similar. 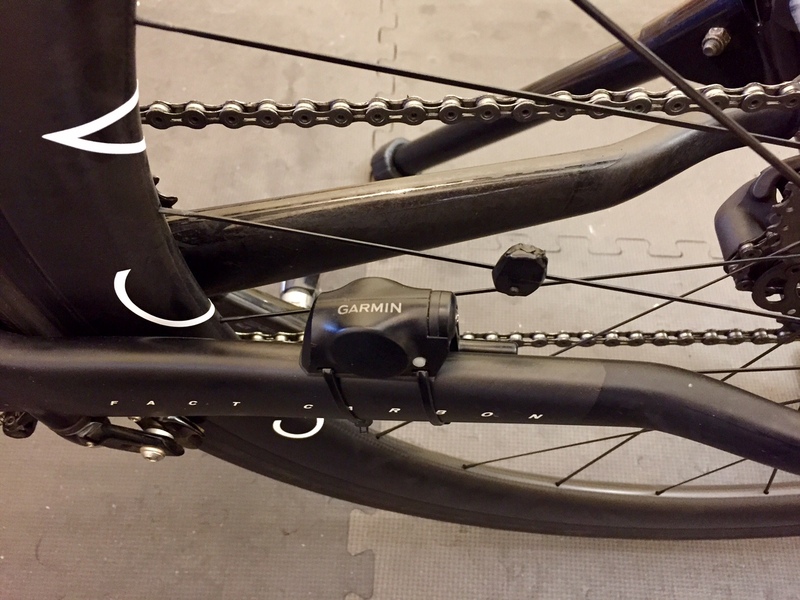 The way in which the Kickr applies resistance is different to the Revolution so the road-feel is a little different, not a lot though. The Revolution is silky smooth, whereas the Kickr fells a little grippier (if that makes sense?). You won't be disappointed with a Kickr. Having experienced the premium smart-trainer on Zwift, there's no going back. It just doesn't feel the same. I'm very interested to try the Tacx smart-trainers now they've opened ANT and are Zwift compatible. DC Rainmaker has posted an article on them, but has no detail not the actual experience, or ride 'feel' as I've outlined above. I'm not sure it'd have the same inertia as the Revolution or the Kickr, which is why I want to test ride and report on it.